Don't you get the impression a virus is sweeping through the United States that causes Confederatephobia? All of a sudden, everyone is treating the Confederate flag and all things Confederate as if they are worse than Nazis or Satanists. Walmart, Amazon, Apple, Sears, Ebay, politicians, everybody is jumping on the anti-Confederate bandwagon in the space of a few days. Many have noted that Nazi memorabilia is still available at some of those companies. The trigger was the church shooting in Charleston, South Carolina. But that had nothing to do with the Confederate flag. But somehow, that flag is equated with mass murder of blacks by whites, if I'm reading the situation correctly. 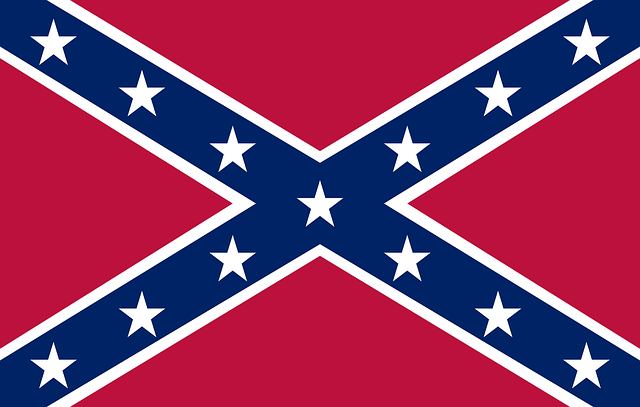 As someone from the north (Ohio), the Confederate flag to me means the side that lost the Civil War. That's what I think of when I see it. The side that lost. Groups on the liberal side of the political spectrum have been itching to get rid of the flag and the church deaths provided a means to latch on to that and equate the flag with murder of innocent people. Wiping the Confederate flag off the map is historical revisionism, cultural cleansing. Are we supposed to pretend it isn't a significant part of our national history? I've noticed a lot of times, when something is banned, it tends to give it more power. Whenever this national hysteria ends, we'll see that banning a flag didn't help anything, and is counterproductive in the long run.